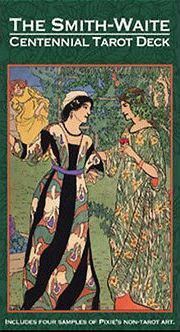 Live, hands-on tarot workshop for new tarot learners. Hi, I'm YQ from Tarot Singapore Online. 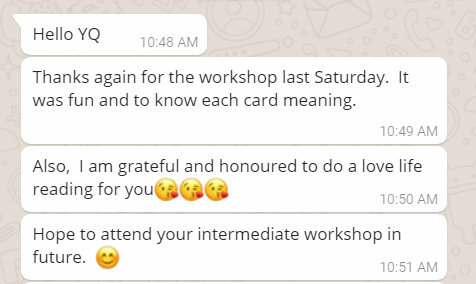 That’s why I’ve started teaching tarot through in-person small and intimate workshops. Get on the waitlist and be the first to know when new workshops start. Thanks It was great attending your class. 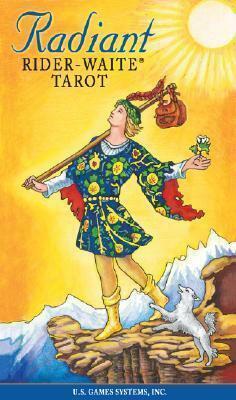 Now I read tarot. And it is much easier for me to understand the meaning and structure. I really enjoyed myself and learnt so much. 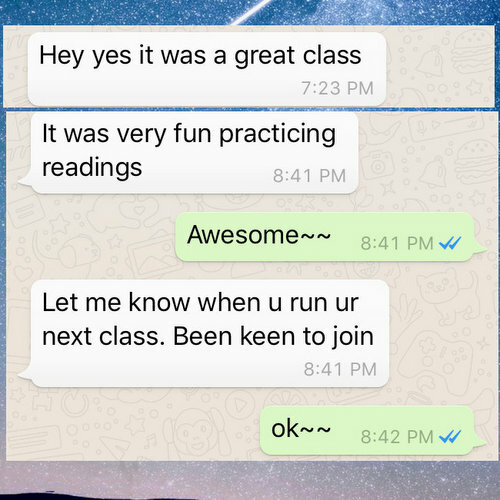 I've been practicing with friends and colleagues and I'm feeling much more confident after our session. 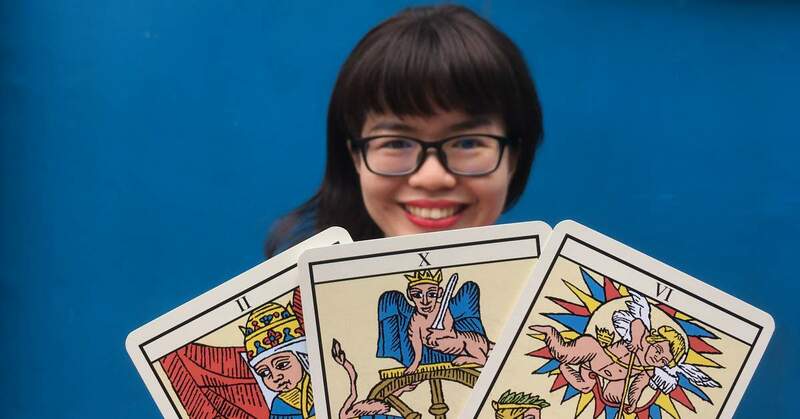 This workshop is best for students who already own their tarot decks. 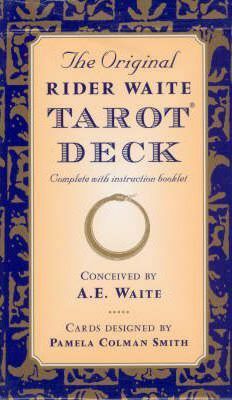 If you’re a beginner, I recommend Smith-Waite Centennial Tarot Deck or Radiant Rider-Waite Tarot.